Let's go deep and not just sweep things under the rug. 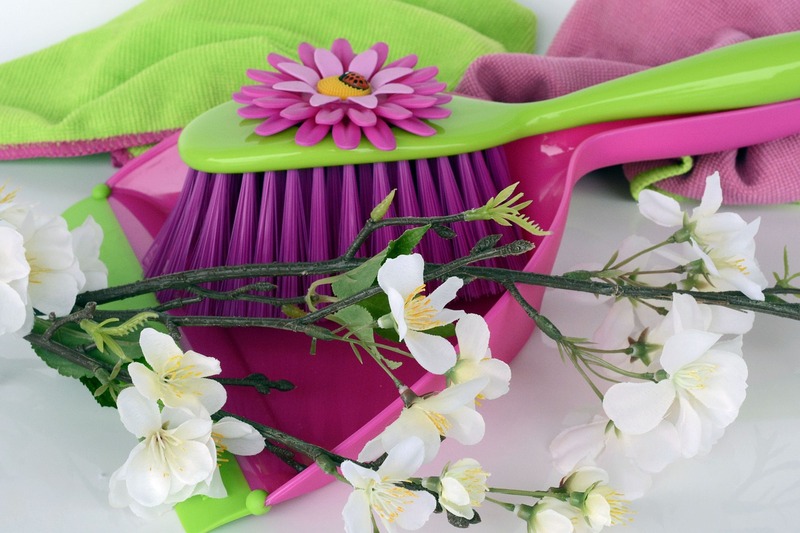 With spring upon us, now is a good time to consider how we might freshen things up a bit with some intentional spring cleaning. Out with the old and in with the new. What old habits are getting in the way of your well-being? What new habits would move you closer to your goals? Most of us have some limiting beliefs that we picked up along the way that we would be better off without. Beliefs such as, “I am too this or too that” or “I am not good enough” or even “I don’t matter”. We must challenge these beliefs and replace them with ones that support us and our endeavors. What we believe about ourselves often shows up as true. Creating new beliefs will create new outcomes. Spring cleaning does not mean sweeping things under the rug or stuffing things behind a closet door. The idea here is “out of sight, out of mind”. The truth is that these things can weigh heavy on our hearts. We may think that we will deal with these things later. The problem is, sometimes “later” never comes. Just knowing that we have things stuffed away can sabotage our best efforts to move forward in our lives. Rather than leave this business unfinished, we can seek the courage and strength to face and deal with it. As hard as it might be to do, it is easier than keeping it suppressed and hidden. Dealing with these things does not mean wallowing in it over and over again. Sometimes it means talking about things once. It can be incredibly freeing. Years ago when I was a school counselor a student came into my office. He sat down and told me his parents might get a divorce. It was a very simple and straight forward statement. Years later, now a grown man, he told me how difficult it was for him to tell me that and how much it helped him to do so. How many of us are still carrying around stuff from our childhood? We could probably all benefit from sharing something with someone we trust. Cleaning things up around us also includes making amends and seeking forgiveness. Creating a clean heart will lighten our load and put that spring back in our step. This includes forgiving ourselves. We are all a work in progress. It’s important to be patient with ourselves. Sometimes it is in our darkest moments when good things begin to take root. Spring time has the power to renew our faith in life. We are reminded that dormant periods serve a purpose and that there is always an opportunity for new growth. We have the opportunity to breathe new life into our world of work as well. In moments when we feel as though the work we do doesn’t matter or has no meaning, we can choose to bring meaning to it. We can decide to bloom where we are planted. We can find ways to cultivate the areas in which we need and want to grow. Maybe we are not in our current work situation so much for ourselves as we are there for others. It may be an opportunity for us to shine our light on others so they have an opportunity to grow and flourish. And, at the same time, it may be exactly what we need to more fully become who we are meant to be. Outside of work, we can choose who we spend time with. This is an area of life that may need some pruning. Growing up my dad used to say, “Tell me who your friends are and I will tell you who you are.” He would say this in Italian so it sounded a bit different. I didn’t like it so much at the time. I have grown to realize how true it is. It is important that we surround ourselves with people who will help and encourage us to be our best. No matter what season this finds you, now is the time to spring into action. Do what it takes to bloom and grow. We were made for this. Lucy Wellmaker is a published author of her book, “Inspired by the WOW Moments of Life”. She is a Board Certified Coach and has been practicing as a Life Coach for over 14 years. She writes a weekly blog, called “My Weekly Wow” and conducts Laser Life Coaching through her talks and workshops. Lucy has a Master’s Degree in Counseling from the University of North Carolina at Greensboro. She is a graduate of the Institute of Life Coach Training, and has been trained by Gallup in StrengthsFinder. She is married with two children and lives in Greensboro, North Carolina.